Info: 1 BR, 2 BA beachfront property w/bunks, sleeps up to 6. Splash condos vacation rentals in Panama City Beach FL 1BR.2BA overlooks the sugar-white beaches of the Gulf of Mexico – 1 BR/2 BA resort home with a king-size bed plus bunk-beds and a sleeper sofa, the property can sleeps 4 to 6 people comfortable. 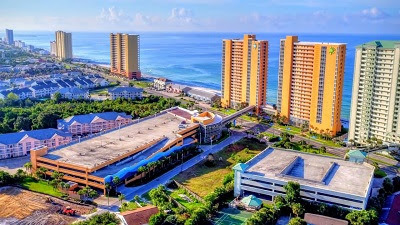 Splash condominium is located on the West end of Panama City Beach, convenient to Pier Park, where you’ll find an array of popular dining, entertainment & shopping options such as Margaritaville, Guy Harvey’s, Back Porch Seafood, Ron Jon Surf shop and more. Located on the Gulf of Mexico, the Panama City Beach is a resort community on the Florida Panhandle boasts a popular subtropical climate, with an average temperature of 74 degrees. Additionally, with a yearly average of 320 days of sunshine, visitors and residents are able to enjoy some of the world’s most beautiful white-sand beaches year-round. Find the ideal Panama City Beach resort home for your and your family.